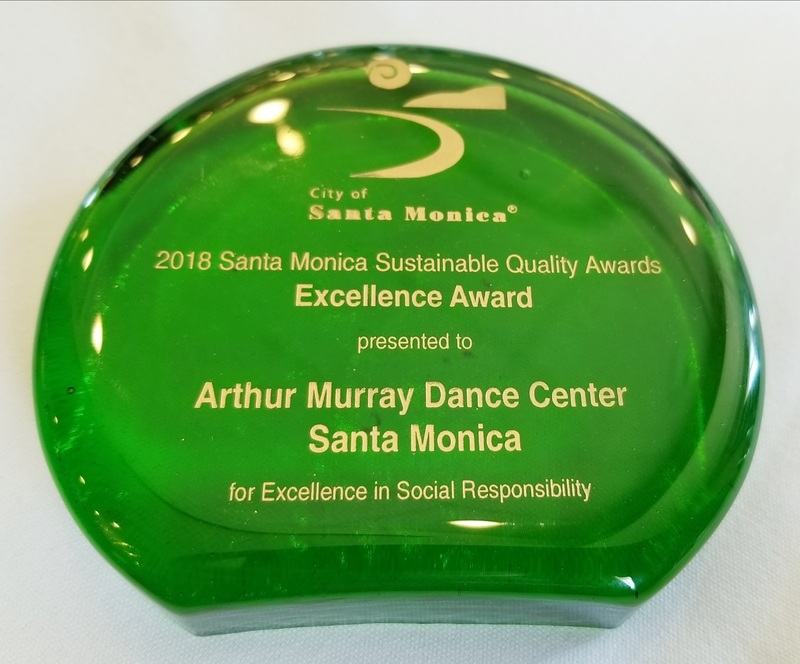 Today, Arthur Murray Santa Monica won the Sustainable Quality Award in Excellence in Social Responsibility. 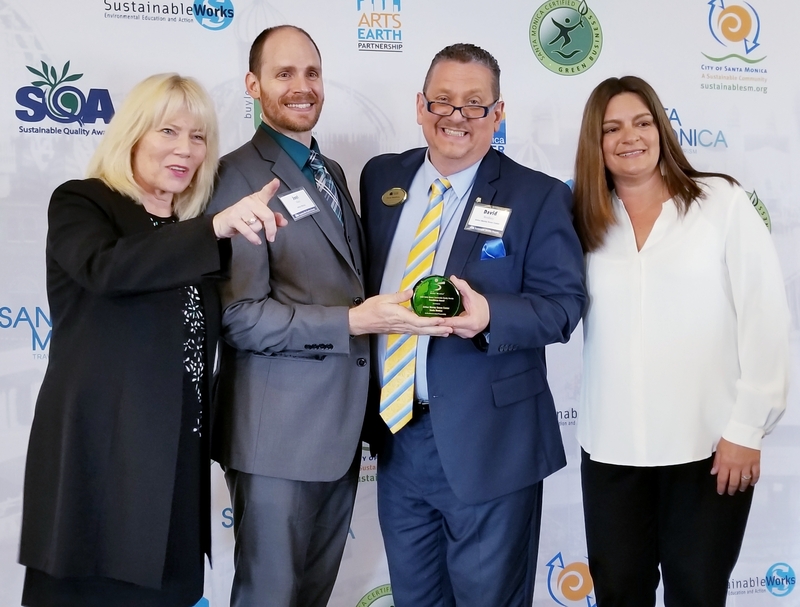 This is our second SQA award and we were honored to receive this special recognition! We won in 2016, but we lost in 2017. I was broken hearted to lose. We had done so much in the community and our application was not up to the standards to win that year. 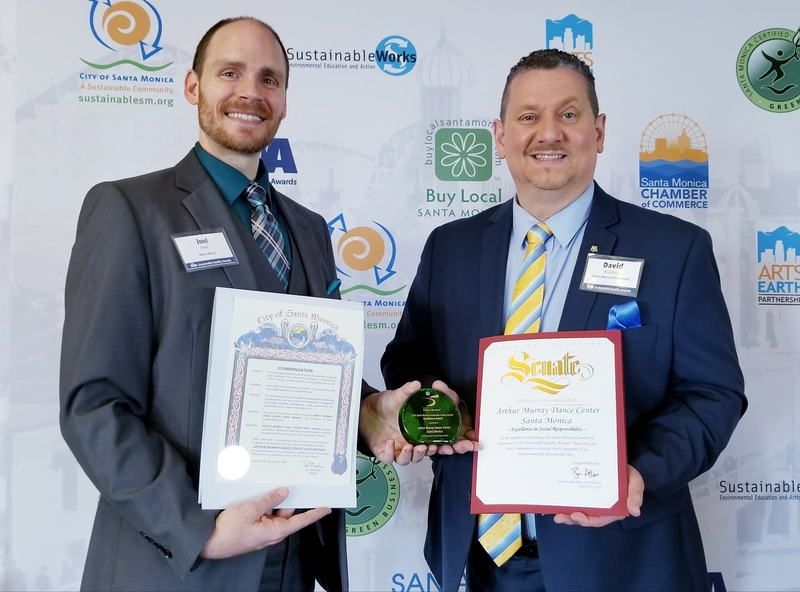 I truly felt as if I had failed and I truly took it to heart as we saw so many other businesses in Santa Monica come forth to accept their winner’s awards. This year, our writer was Joel Rieck, and we won from his great essay and his superb writing skills for our application. 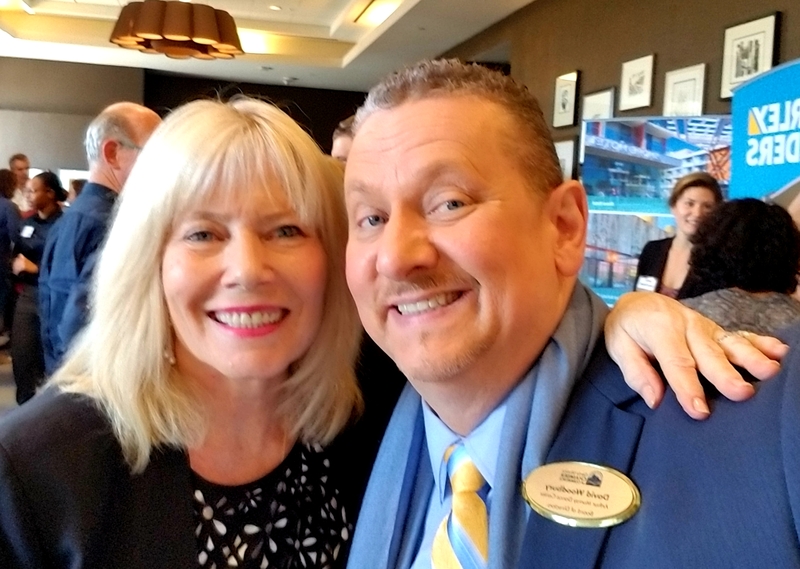 We had done all the same work as the past year, but Joel did an outstanding job in presenting our acts of service and all our involvement in giving back to Santa Monica. Being in the winner’s circle was very sweet after failing and not winning. As quoted above, the failure became a mark of experience and we learned from it, and that pushed us forward to achieve success and win. Last year someone wanted to buy our school from us. This came out of the blue and I shook us up. I knew we could be doing much better, and I was recovering from a heart scare and getting back my health. I thought, why does someone want to purchase our school? Then I gave a very sober and thoughtful look at what we had created. We had a great location, wonderful and dedicated staff, and the best Arthur Murray Students anyone could ever hope to have. 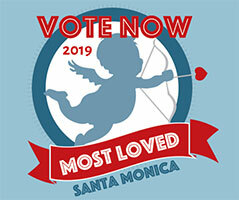 We had created a special branding of the Arthur Murray name in Santa Monica and the whole city knew about our great school. 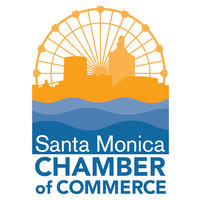 In 4 short years, we had created a legacy of Arthur Murray returning to the city of Santa Monica. 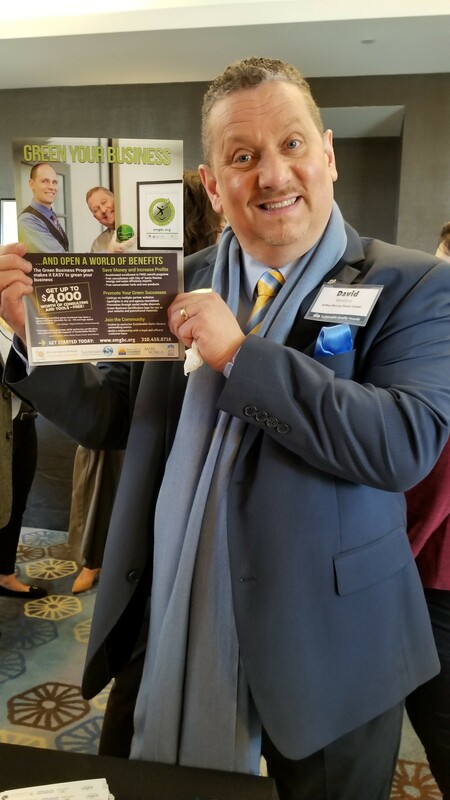 The value of the school became an overwhelming thought to me and I then said, instead of selling, why don’t I just double our success and recharge our energy? And guess what, we DID just that. We excelled in every area and ended up a top school in many areas for Arthur Murray for 2017! Now, I see a fantastic future for 2018 and we are living our dream of success with much, much more to come. With all achievements will come the storms of life, and the trials and tribulations of life will test us to our very cores. But with failures, lessons learned, and life lessons, the experience we gain will take us to the winner’s circle. No 16 4-20-18 “Nothing becomes real until it is experienced”No 19 5-11-18 "A champion is someone who gets up when he can't."